Zoiks! Online - The Very Best in Stand-Up And Music! 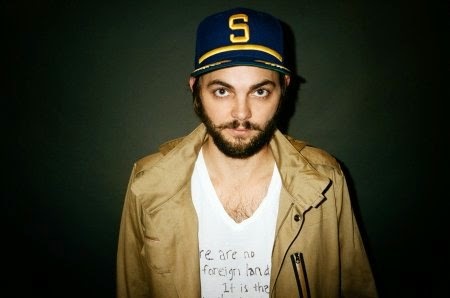 : Exclusive Interview: Nick Thune (@NickThune) Talks Netflix, College Students, and Touring. Exclusive Interview: Nick Thune (@NickThune) Talks Netflix, College Students, and Touring. Comedian Nick Thune has appeared on many late night shows including “The Tonight Show,” Conan, and “Late Night.” His stand-up special, “Nick Thune: Folk Hero,” is currently streaming on Netflix. Fans, however, can see the comedian live in person as the Seattle native is currently touring on his “In The Heartland” tour. Thune recently checked in to talk about his new tour. Your comedy special, “Nick Thune: Folk Hero,” is currently streaming on Netflix. Correct me if I’m wrong, but this special wasn’t on Comedy Central Presents; rather Comedy Central released the special on its Records label? Yes, Comedy Central Records released the audio version of it. Did you do this for Netflix specifically? How did you get involved with them? I worked with a production company to make it and then we sold it to Netflix after we made it. Years ago, the Tonight Show was where comedians wanted to be, and today there is the late night circuit, YouTube, Comedy Central, and now Netflix. With so many outlets to show comedy, do you, as a comedian - as a fan I think it’s great - think this is good for the business or has the market become oversaturated? You can look at it a whole bunch of ways. For me, stand-up comedy isn’t necessarily my bread and butter in terms of what pays my bills. It’s creating everything that probably pays my bills. I don’t rely on people buying my stand-up special for how I live. Touring is what pays, so when you make something you hope that the most amount of people can see it. For Netflix, you don’t get paid per view. You sell it to Netflix and then you hope that it’s constantly going to be in people’s faces. Oversaturation? Of course. There is a ton of opportunities for people to watch comedy but generally it tends to fall in people’s laps. I started covering stand-up about ten years ago, and back then, Facebook and social media sites either didn’t exist or were still in their infant stages. One of the main ways to see stand-up was to go out to the clubs. I was reading your bio and it said you started stand-up about 10 years ago. Do you see a decline in audiences or clubs today from when you first started? We used to have two comedy clubs in my area and they’re both gone. Strong, local clubs have stayed. Large, corporate ones come and go. I don’t like the model of really performing at comedy clubs anymore. This tour I have coming up, it’s really just me going to towns and doing these little rock clubs. That, to me, is more exciting and more fun. I know it’s specifically my audience where at a comedy club it’s going to be a mix of my audience and just people who go to comedy clubs. I think that number of people have died down. That’s what happens to those clubs. You travel all over the place. Do you find that certain audiences and regions react differently to material? Is there a certain area, or demographic, that gets your material more than others? If I were performing to a handpicked group of people in a city, then yea. But, the more and more I tour, the more and more the same like-minded people are coming to my shows. Obviously, in some cities they’re a little more progressive I guess, but in general I don’t alter my material per city at all. There is a thing about comedians when they perform at colleges, and then at clubs, they alter their material between those two because some comedians are geared toward college audiences and that may be because they have a special college set that they do, and then when they do a club they do a different set. I don’t do either and that’s why I probably haven’t been successful… I don’t do really colleges anymore. I also don’t like doing colleges. The reason why we’re doing this interview is because you’re coming to Iowa City (The Mill on 09/30/2014), which is near me, and is a huge college town. But you’re not actually doing the college but rather a club? Yea, the thing is if I’m doing a club, it costs money to get in, and people are going to come to the show that respect me enough to pay money to see me, whereas if you go to a college, it’s a free show for the students. So, they have zero… nothing is invested in that show for them so they can get up and leave whenever they want. I have nothing against college students but I don’t think they’re smarter than they think they are. And, I guarantee they’re smarter than me. That’s one thing I’ll say, but I’m a little more comfortable in my own skin whereas sometimes they’re not ready to laugh in public at things or even laugh at themselves a little bit because they’re still in this self-important… not ready to be out in the real world yet. I’m doing new material. I’ll going to do some new things because I don’t have my full new hour yet. About 10 to 15 minutes from ‘Folk Hero’ but other than that, it’s all new stuff. You’ve done some television work on Comedy Central’s @midnight, “Don’t trust the B____ in Apartment 23,” among other things. Is acting something you’ve wanted to get into or do you think, in today’s market, comedians have to transition into other mediums to be successful? There are so many different kinds of comedians. I think some comedians do stand-up so they CAN transition into that. There are a couple different ways to act. You can go to acting school, get an agent, get auditions, and get parts. And that can get pretty tedious because you’re not necessarily performing all the time. You’re waiting for an opportunity to go into a room and it can become very disheartening and really hard, whereas in stand-up, I get to go up on stage and perform in front of an audience. It’s the real thing. It’s happening, in real time and I continue to grow from that, and then from that, people will see me and give me opportunities in other ways. Mitch Hedberg. He was the most modern thing that was affecting me. I love Steven Wright but it seemed like Mitch Hedberg was doing his own… in my mind, made up a new kind of stand-up and it felt like more for my generation. And that’s why I felt like, ‘Oh, this is possible. Like it was something I could maybe achieve that if I’ve done my thing, it’s like what Mitch did.’ I love Steve Martin too, but it was Mitch Hedberg what eventually pushed me into doing it.